Someone recently asked me what I would focus on if I were trying to steward new life in a declining or stagnant congregation. I told them I would focus on three things intently, and I would not waver. RENEWAL. First, I would cultivate a culture of renewal/revival: a kingdom culture of transformation. We should do everything we can to fan the flames of revival in the life of the local church. People are drawn to fire. I’ve been fortunate enough to be part of these communities. I remember many times after the final “amen” people lingering, praying together at the altars, fellowshipping with one another. You know genuine renewal is taking shape when you are turning the lights off and locking up over an hour after the gathering has ended. When the Holy Spirit is freely moving in the life of a congregation His presence becomes the most attractive and magnetic part of the church. DISCIPLESHIP. We are called to train and equip believers. We need to teach people to walk in a deep place of intimacy with Jesus. Intimacy with Jesus is key to success in the kingdom. Period. Teaching people to walk in close proximity to Him is what authentic discipleship is all about. As the spirit of renewal becomes the culture of a congregation, a sense of desperation develops in the lives of individuals. People begin to long for His presence beyond a Sunday morning experience. When we create a healthy culture of disciple-making, Jesus becomes much more than a religious concept; He becomes a tangible reality. This happens as people walk with other people, teaching them to live out the teachings of scripture, not merely understand them. I am convinced that by and large, the church has an unhealthy view of discipleship. We often talk about “discipleship” as something that is served to people, which fosters a sense of spiritual consumerism. Discipleship is not when somebody is actively talking and someone else is passively listening. This misunderstanding is why people complain that they aren’t being “fed.” If that strategy worked, then why aren’t there more disciples like we read about in the Bible? The word “disciple” comes from the Greek word μαθητής (mathetes); it literally means, “learner.” The idea of being a learner puts the action firmly into the lap of the one doing the learning. In other words, the learner takes up the mantle of self-development. 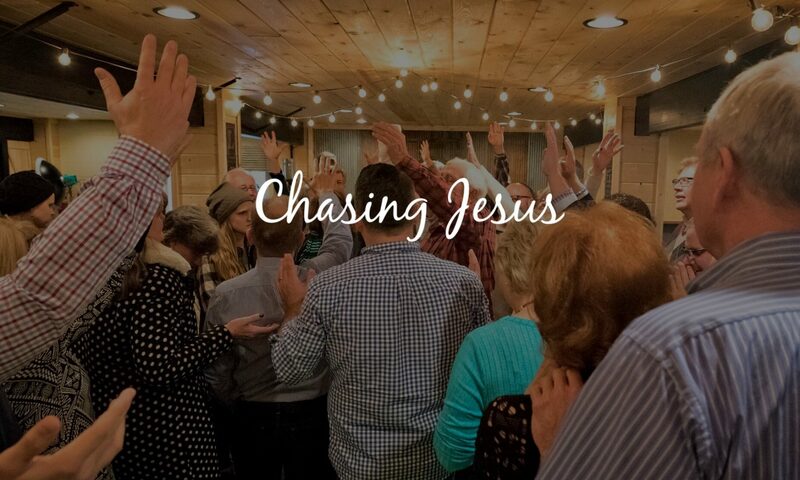 Therefore, one of the primary jobs of the church is to connect people with Jesus by offering opportunities for them to learn, grow, and become the person Jesus is calling them to be as the Holy Spirit leads and forms their lives. Too often people come to Jesus and get overwhelmed by everything the church asks them to “DO”. We have to teach people how to “BE” in Christ and walk in the Spirit before putting them to work. Teaching people to pray, worship, and engage scripture by living it out should precede passing out organizational responsibilities (remember Mary and Martha in Luke 10). MISSION. Finally, I would offer numerous ways for people to serve other people. This is the “DO” part. This is where we offer opportunities to connect with the community, serve the needy, feed the poor, heal the sick, minister to the marginalized, etc. This also includes training people to understand the global nature of the church; for example, connecting people with things they can be part of that’s changing lives all over the world through the Church of the Nazarene. Revival in the church always leads to mission in the city. If renewal isn’t reaching beyond the walls of the church building, then you may be having exciting services, but it’s not authentic renewal/revival. God always sends the church by the power of the Holy Spirit to reach more people. As people in a congregation grow together they learn that the mission of the corporate Body of Christ surpasses their individual needs. We are called to live on mission and be salt and light in our cities. A church that never physically goes beyond the walls of their sanctuary is seriously neglecting the Great Commission. Providing ongoing opportunities for people to serve, to get their hands dirty, to pick up a towel and basin, to sit with the least and reach the lost, is essential in being a kingdom-minded community of faith. Renewal, Discipleship, Mission – I’m convinced that these three components will transform and sustain any congregation. Let’s not waste time with the cultural distractions being imposed on the church or religious trends that are in vogue one day and gone the next. Let’s remain committed to the things that transform peoples’ lives and allow the Holy Spirit to do the rest. Yes!! I Love this! It’s so good! Thank you for sharing! This is right on target. A refreshing change from the typical church growth methodology and institutional development propaganda.It’s all about His kingdom and never about ours. Hey Doc, certainly trying to invite a Spirit of revival as the norm, we are meeting Wednesday night to study “Teach us to Pray” and then closing with a community of prayer! God is doing a work and the devil is mad! I love you, Pastor Rick.